Now, you’ll see the drawing editor. When creating a drawing for a document, the shapes menu can be particularly helpful. From thought bubbles to arrows to a smiley-face, this menu can help you whip up something playful or professional in no time. As with images, you can resize a drawing and even mark it as inline or fixed within your document. 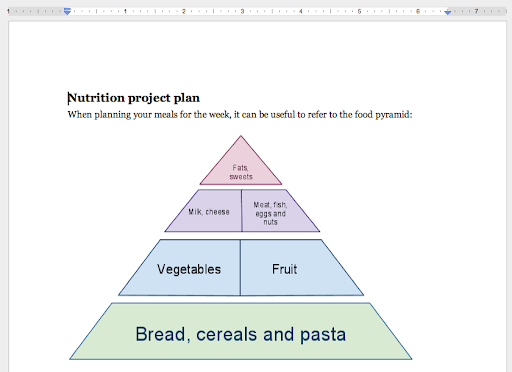 You can also copy an existing Google drawing into a document. 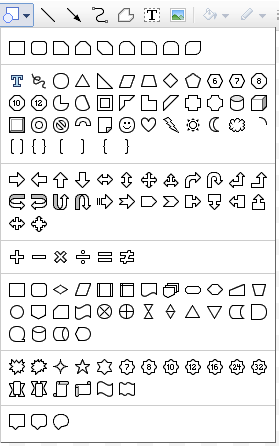 To do that, first select the relevant shapes in your original drawing, and then copy them using the Web clipboard. 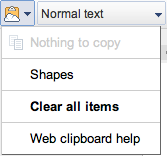 In your document, open the Web clipboard and paste the drawing into your document. Give it a test drive and let us know what you think in the comments. Have you recently toiled over instructions to assemble furniture? Now imagine the agony if you had no illustrations to fall back on. 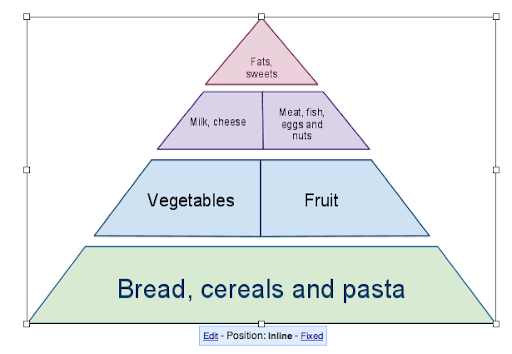 What’s the best way to teach kids about nutrition without a food pyramid? Sometimes when working with text you realize that words can only articulate so much. 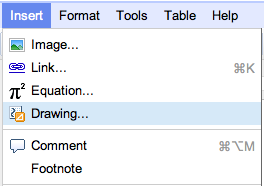 And that’s why we have drawings in Google documents. Drawings can be useful for things like diagramming processes in a flowchart or clearly articulating the relationship between a groups of ideas.